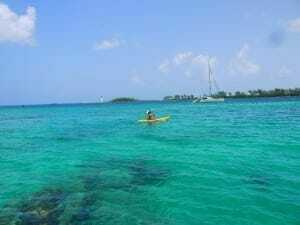 The Bahamas is located on the Atlantic Ocean, 80Km (50 miles) off the coast of Florida. 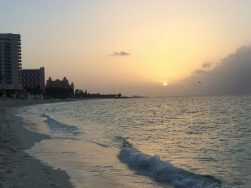 The country is comprised of 700 island sprinkled over 100,000 square miles and many people dream about having a honeymoon in the Bahamas. 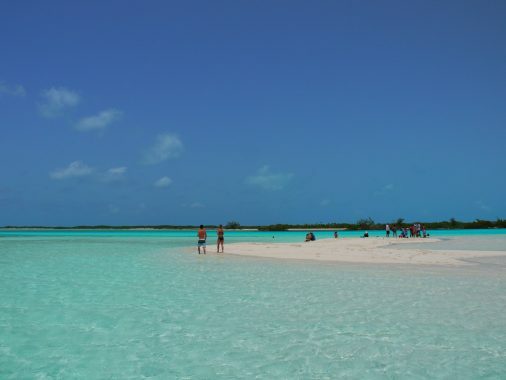 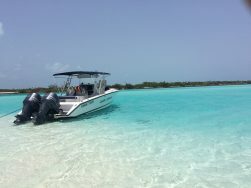 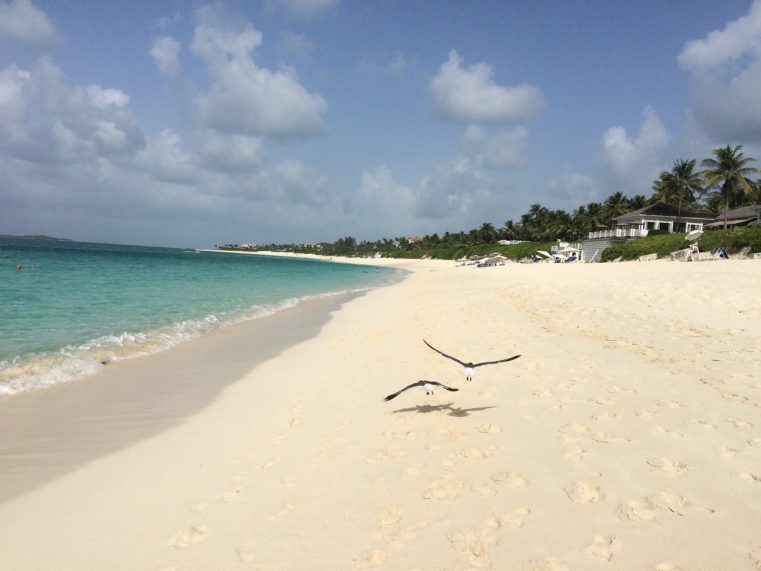 Some of the most visited islands are: New Providence, Paradise Island, Exuma, Grand Bahama and Bimini. 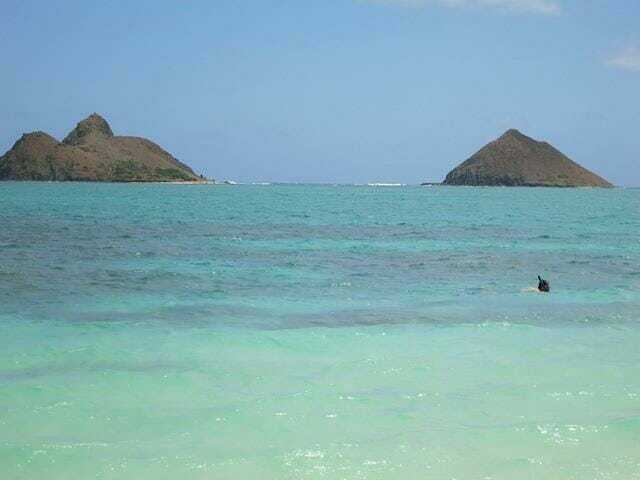 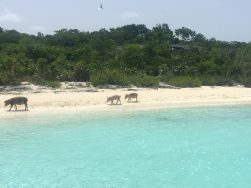 I only visited Nassau (the capital of the Bahamas), Exuma and Paradise Island, and I got pretty amazed by its beaches. 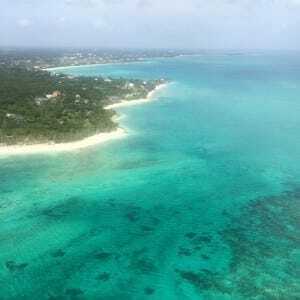 View of Nassau from the airplane. 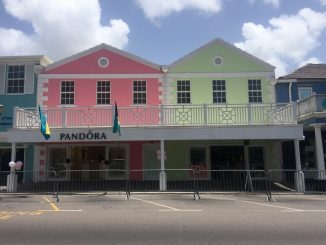 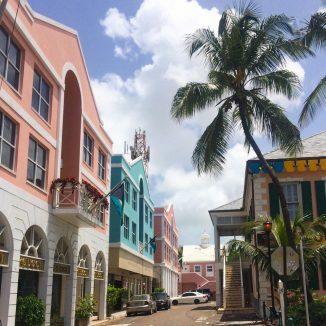 Downtown Nassau: with great architecture from the colonial time this area is a shopping paradise for tourists arriving from cruise ships. 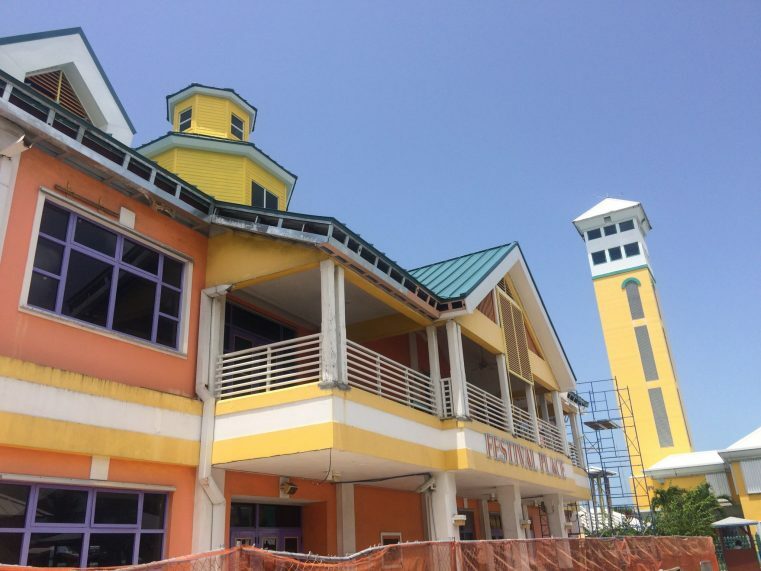 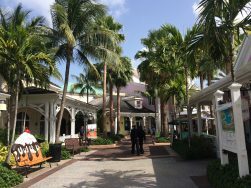 Straw Maket in downtown Nassau. 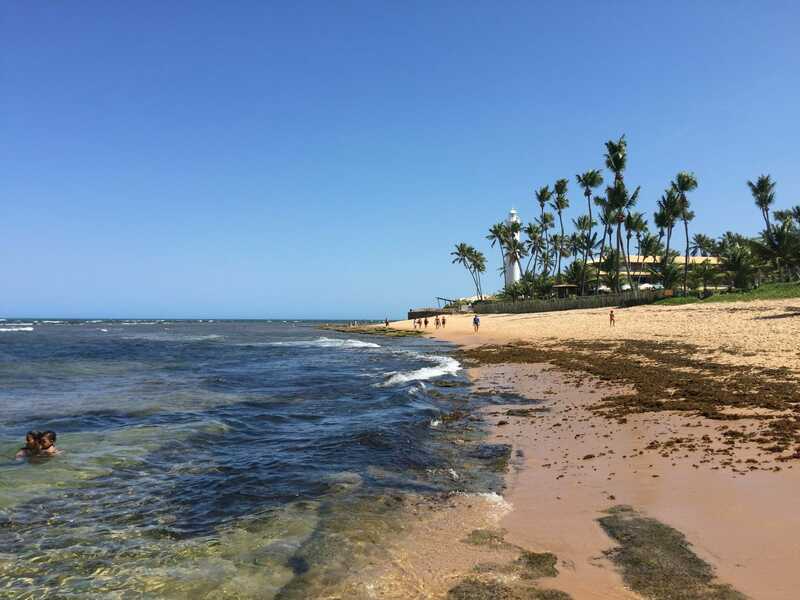 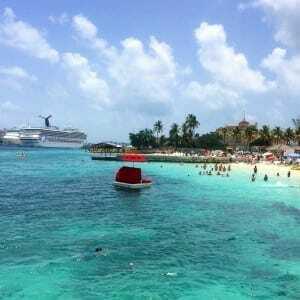 Junkanoo Beach: located in downtown, this beach is very popular among tourists and locals. 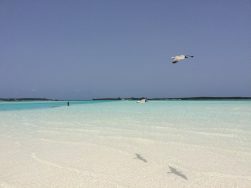 In case that you are on a cruise to Nassau, this is easiest and closest beach to go to. 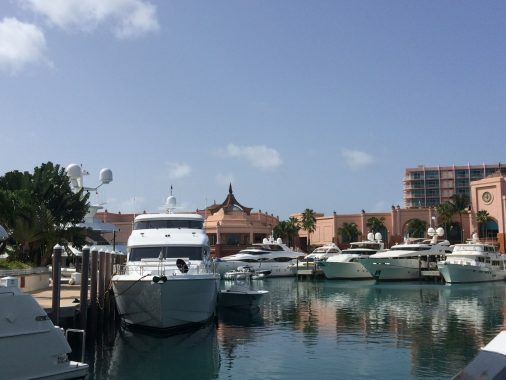 Marina Village in Paradise Island. 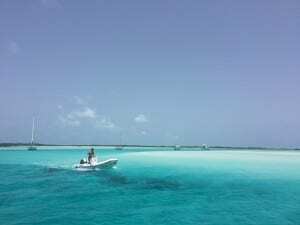 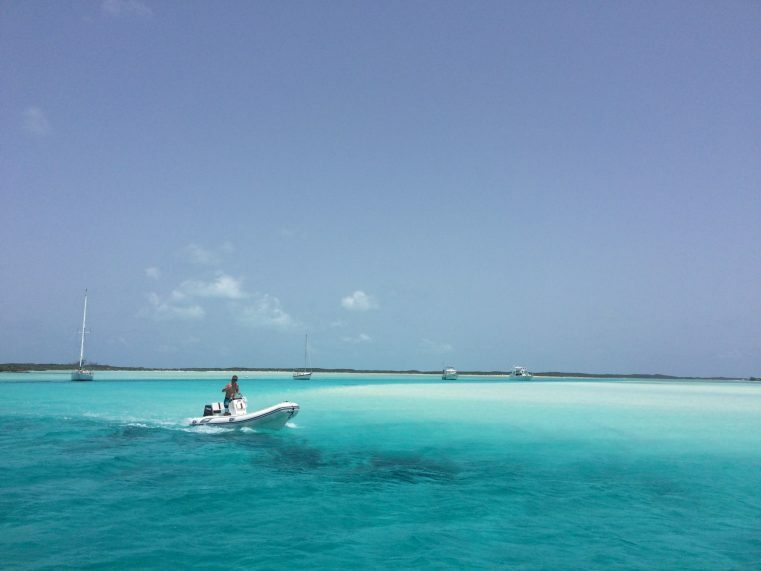 Pipe Creek (Exumas): One of the most beautiful places in the Bahamas, this sandbar has shallow and one the most clearest and brightest blue water I’ve ever seen. 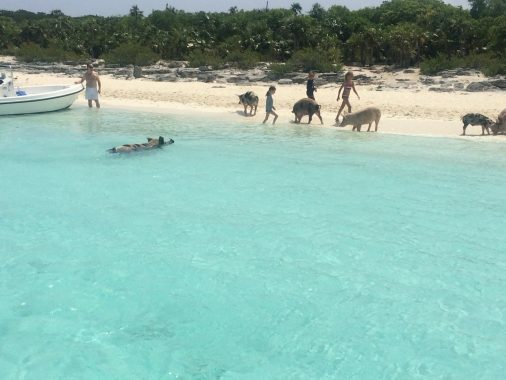 Big Majors Pig Spot (Exumas): also known as Pig Beach, this island is a truly piece of paradise and its only inhabitants are pigs. 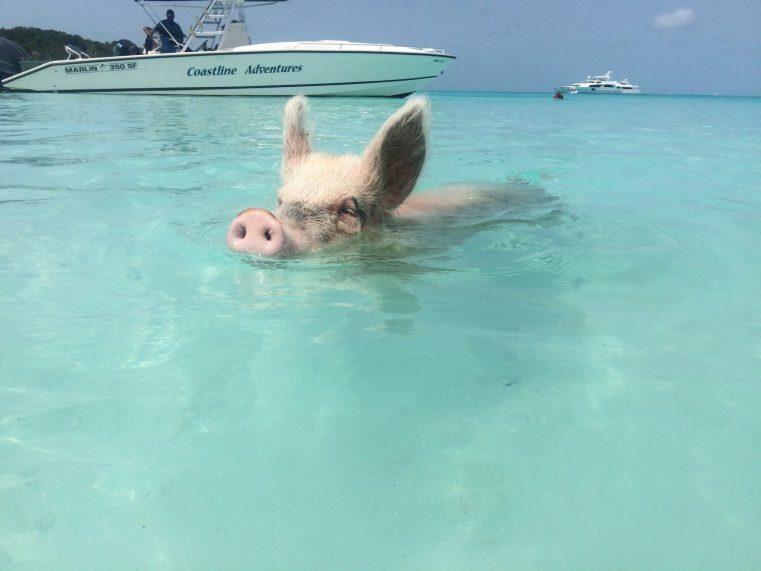 The swimming pigs of Exuma. 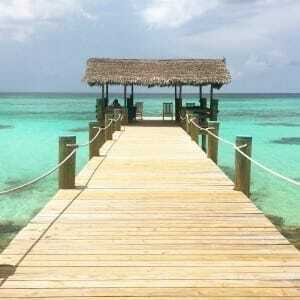 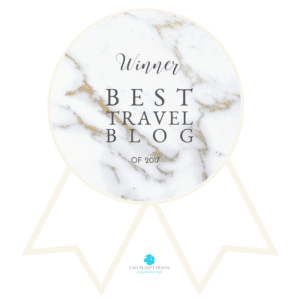 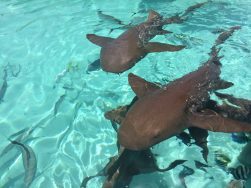 Compass Cay (Exumas): where you can have an unforgettable experience of swimming with nurse sharks. 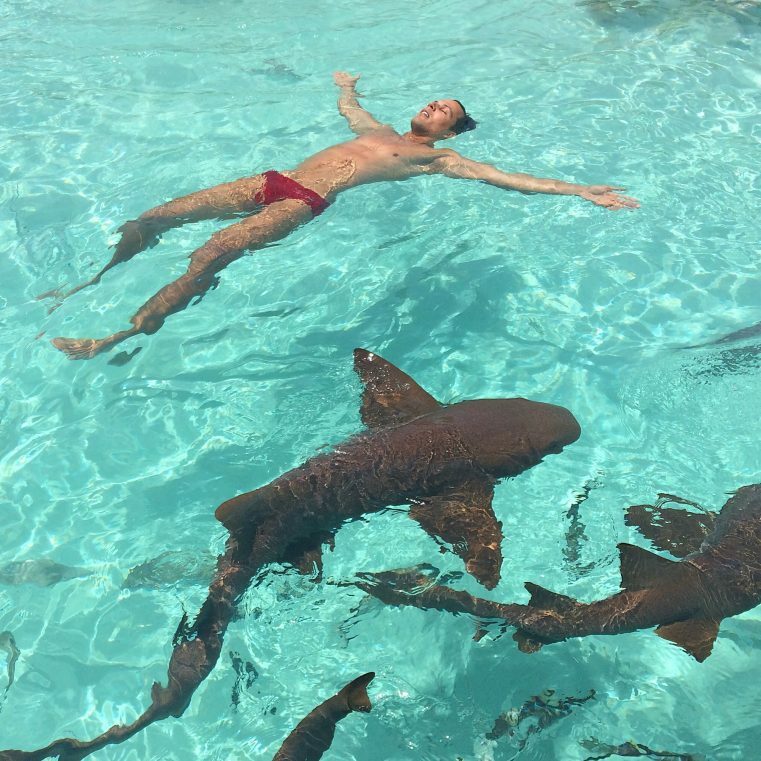 Swimming with sharks in Compass Cay, Exumas. 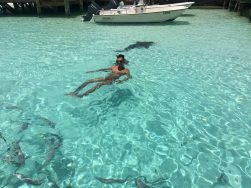 Floating with sharks in Compass Cay, Exumas. 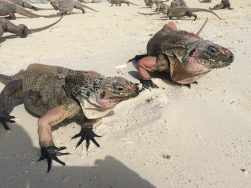 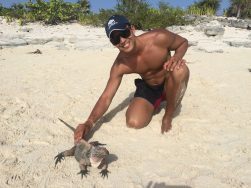 Allan’s Cay Iguanas (Exuma): another island of animals, this time iguanas. 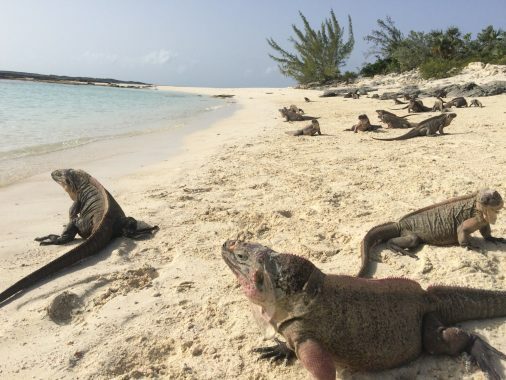 Hundred of iguanas at Allan’s Cay. 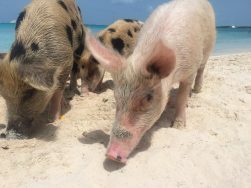 You can read about my experience of swimming with pigs and sharks in the Bahamas. 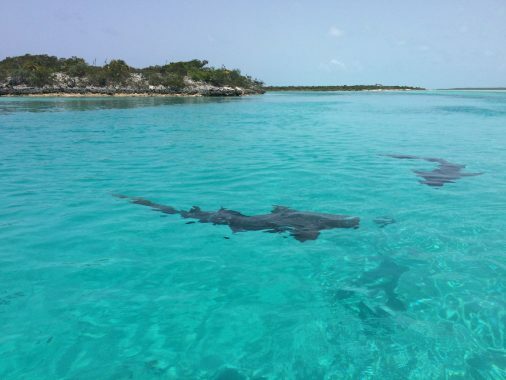 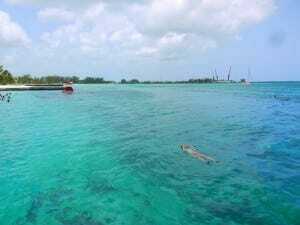 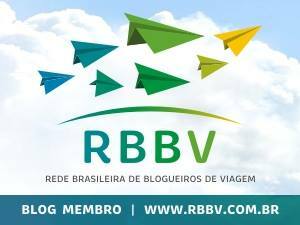 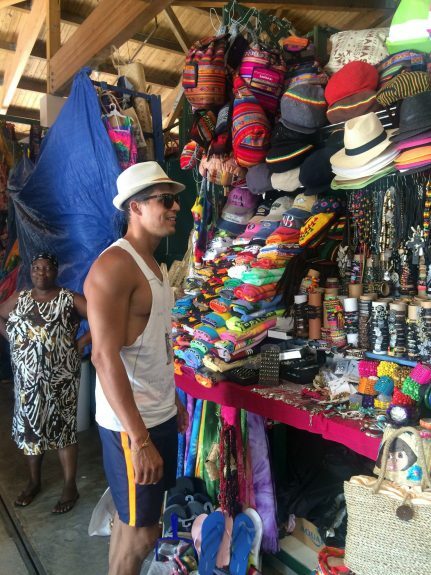 For more information about the Bahamas visit the Official site of the Bahamas.